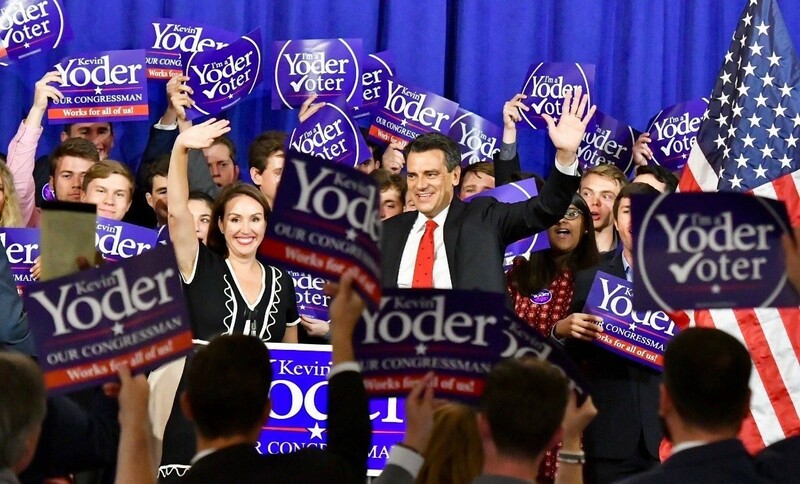 Kevin Yoder served in the United States Congress from 2011 through 2019, representing Kansas' Third District made up of Wyandotte, Johnson, and Miami Counties. He served on the powerful House Appropriations Committee, as Chairman of the Homeland Security Subcommittee and the Legislative Branch Subcommittee. During his tenure, he fought for the principles of liberty and freedom and to make it easier for everyone in his district and across the country to achieve the American Dream. Kevin is a fifth-generation Kansan who grew up on a grain and livestock farm near Yoder, Kansas. He attended public schools in Hutchinson, Kansas before attending the University of Kansas for his bachelors and law degrees. He now lives in Overland Park with his wife and two daughters.